Your water pipes should not be making a sound. Every now and then you may hear gentle whooshing sounds, but other than that, they should not bother you. You may find yourself confused and worried when your water pipes suddenly begin banging loudly. You may be wondering where this sound is coming from and what it is. You shouldn’t worry too much. The banging is one of the more common plumbing problems. It’s called a water hammering. This occurs when the water appliance, valve, or faucet is off, and there is a buildup of pressure in the pipe. The banging is caused by the water as it changes directions and tries to find an exit route. The result is a distinct banging noise. Water hammering can cause wear on the pipes and result in leaks, so it is important to correct the problem quickly. Water hammering can be caused by different things. The most common cause is when there is water in an air chamber. When the air chamber has too much water, hammering occurs. What is an air chamber? This is a vertical pipe that is responsible for regulating water pressure. It also keeps waves from occurring inside the supply pipes. Most new plumbing systems have air chambers. 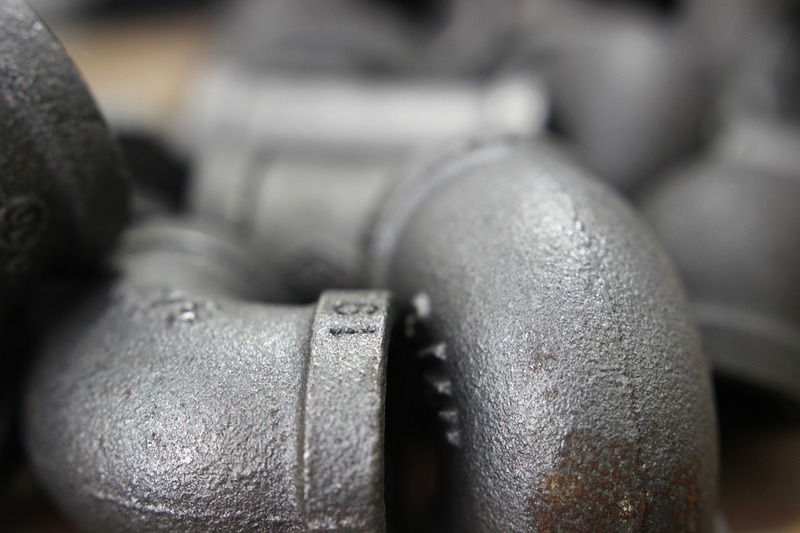 If you happen to have an extremely old pipe system, you may not have air chambers. Contact a professional plumber about installing air chambers if you do not have them. This helps eliminate water hammering caused by waves in the pipes. Water hammering can also be caused by high residential water pressure. This can occur from the use of an appliance and faucet use or from the average water pressure used by your home. When the water pressure for your plumbing system is set to high, it is possible that water hammering may occur on a frequent basis. You may notice that water hammering is happening regularly, regardless of what faucet you are utilizing at the time. This is a sign the home’s water pressure is too high. Water hammering is also caused by an appliance being intense. Sometimes a specific appliance is causing the water hammering. One appliance can be causing fluctuations in the pressure and result in the banging sound. How can you possibly know which appliance it is? Simply pay attention to if the hammering only occurs when you turn a specific appliance on or off. If this happens, then you have found the appliance responsible for the hammering. Does Water Hammering Damage My Pipes? When water hammering is persistent, and homeowners fail to address the issue, it can have long-lasting effects. Pipe joint gaskets, pipelines, and other parts of the piping system, such as pressure gauges and flow meters, can be damaged by water hammering. Pressure spikes that cause water hammering can be more than ten times the pressure of the overall system. This places excessive stress on your plumbing system. Water hammering can cause pipe walls to crack. You may find yourself with a leak in the joints as a result. Piping support systems may begin to deform. Replacing and repairing damaged pipelines can be expensive and time-consuming. The more damage that is caused, the more money and time you are faced with having to use to correct the issue. This is the reason that it is critical to address concerns of water hammering quickly. Fixing water in the air chamber is not very difficult. Simply reset the air chamber and see if this fixes the issues. First, find the water shut-off valve and turn it off. Once it is off, open all the valves and faucets in the home. Make sure that you open the lowest faucet you have as well. For example, if you have an outdoor hose bib or a sink in your basement; you want to make sure these are turned off as well. This drains all the water that is being trapped by pressure and gives the air chamber the chance to clear of any water. After sometimes has passed, turn the faucets off. Make sure all of them are turned off. Once you turn the water back on, the hammering should be fixed. If this does not fix the issue, something else may be causing the build-up of pressure. It is not difficult to check to see if the water pressure is too high. You can purchase a water pressure gauge kit from your local store. Turn off the faucets and appliances in your home. Don’t forget to turn the refrigerator (if it has an ice maker) and sprinkler system off as well. Once you have finished turning everything off, find the main water supply source. Once you have, simply screw the gauge into the valve located closest to the source. Slowly open this valve. When the needle is not moving any longer, you can read the pressure. You should retest to make sure that the reading was accurate. The pressure should not be more than 80 psi. If it is, contact a professional so that you can replace or install a pressure regulator. Finally, if a single appliance is causing the problem; the fix is simple. You can purchase a water hammer arrestor and install it. You can purchase this at many hardware stores or from the internet. You should choose the product you buy based on the appliance that is causing the issue. You should also consider how much space is available. If it is your washing machine, it may need a larger arrester because there will be a lot of water going through it. If there isn’t a lot of room, there are mini end-stop arrestors that can be bought. This threat onto the hose connection and can fit into smaller spaces. You may also consider a single-chamber arrester. These can be used on any section of standard piping. Hopefully, this will fix the problem. If none of these address the issue, you may need to contact a professional plumber to assist you in addressing the issue. Water hammering can be confusing and annoying.